True sanyasa is born out of joy and freedom. Only he can serve the world sharing his happiness. The unhappy person considers sanyasa as escape. Do not cover your ugliness with beautiful words. Our world would not have been so impotent if we had understood God truly. 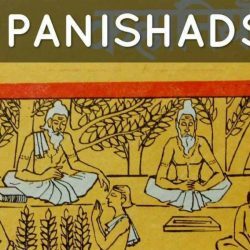 These aspects of the Upanishads is for seekers to contemplate, and any questions for further understanding will be answered by Amma.